Design the perfect Christmas card or scrap those Christmas memories with this collection of Free Christmas Fonts. Need help installing fonts? 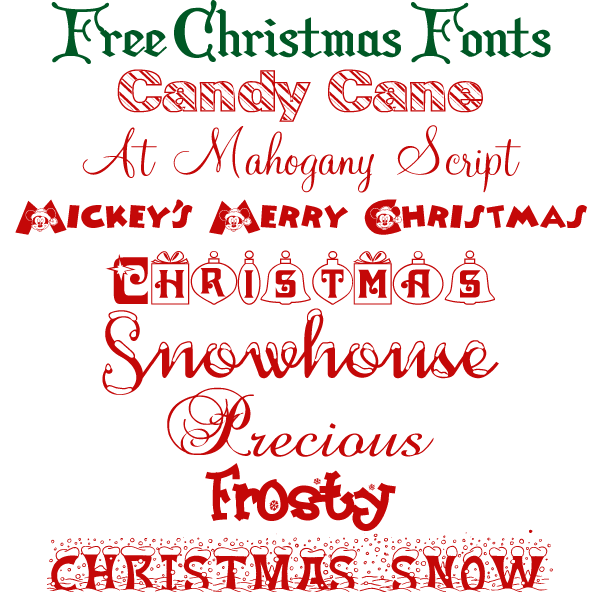 2 Responses to "Free Christmas Fonts"
Had some trouble getting At Mahogany with that link. Had to google it to find it on another site. Hi Katie, Thanks for letting me know. I checked it again and it seems to be working. When you click the download link, it takes you to another page that asks you to input a captcha. Then the file automatically starts to download. I’m glad you found it regardless!